This is the ultimate treat. 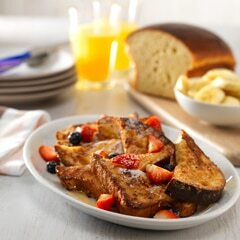 A quick, sweet, simple French Toast recipe with rich and tasty Country Crock®. Top with fruit for the perfect family treat. Beat milk, eggs, granulated sugar and vanilla with wire whisk in medium bowl. Dip bread in egg mixture until totally moist. Melt Country Crock® Spread in large nonstick skillet over medium heat and cook bread until golden, turning once, about 6 minutes. 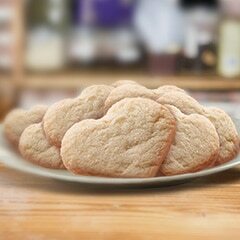 Sprinkle with confectioners sugar and serve, if desired, with fresh fruit.